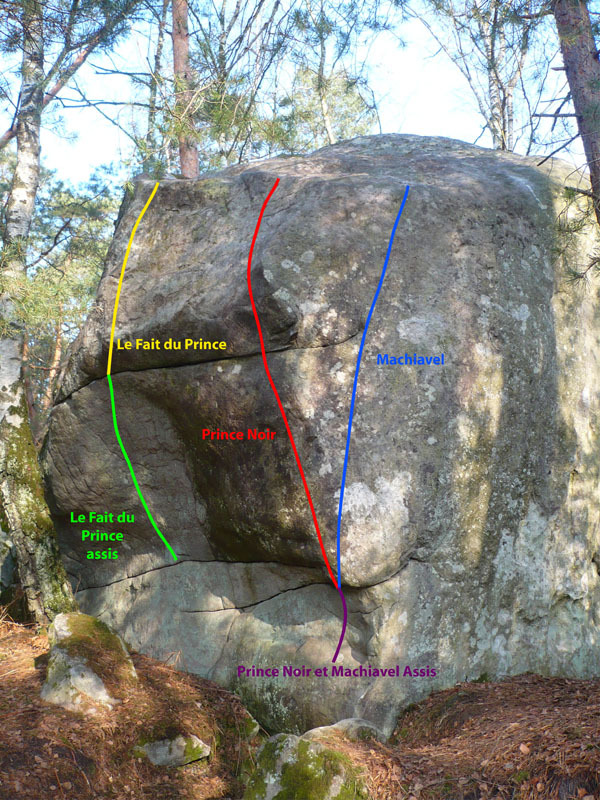 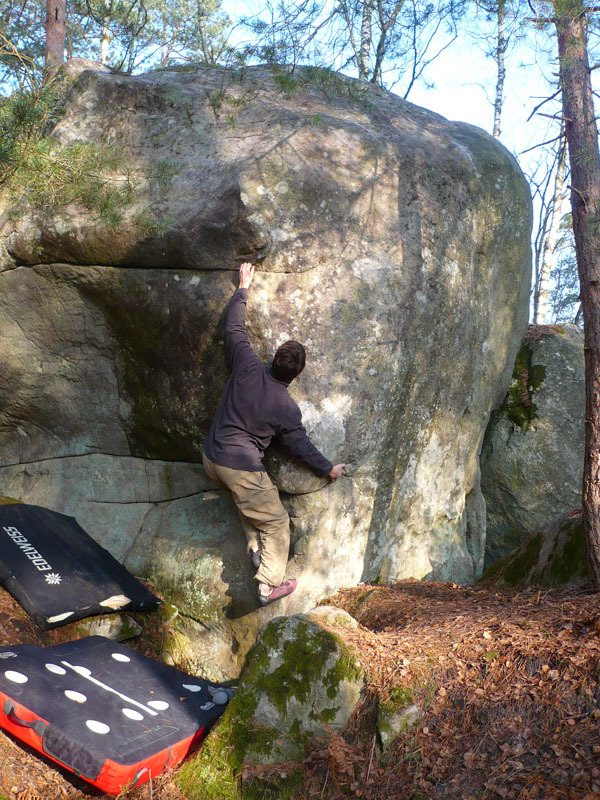 Right problem on the West face of the boulder of Prince de ce Monde, with a black, long-drying rock. 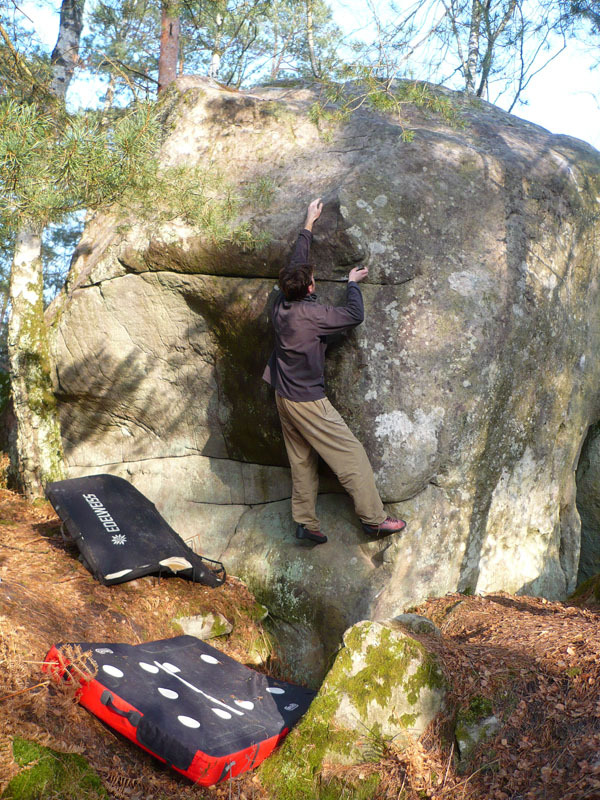 Standing start in the pit (without crash-pad) with underclings and exit above. 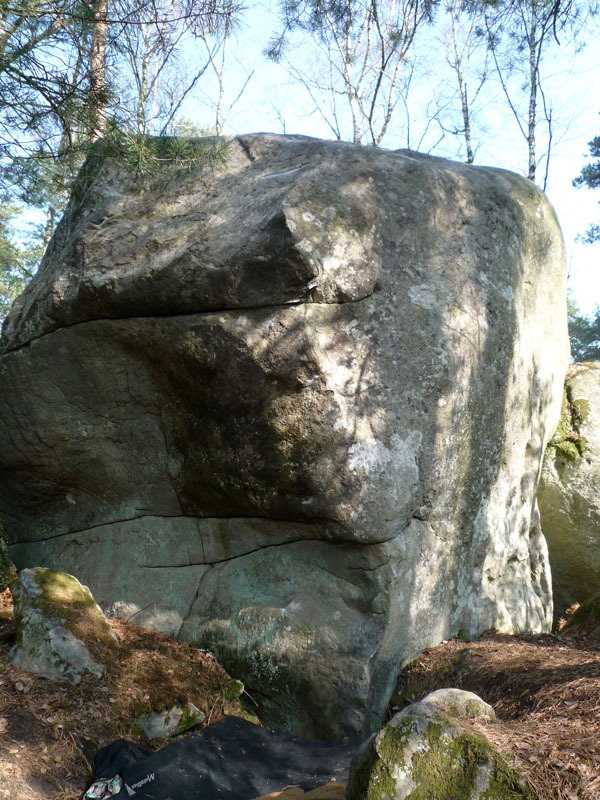 Access : from the parking lot of Le Carrefour du Rocher des Princes, follow La Route de Montmorin (blue path) for 100m, take a small path to the right before the bend and follow that one up to the crest.